It’s been one epic Summer so far! I’ve had so many unforgettable experiences, met incredible people, and of course covered some of the best fashion events in the city. 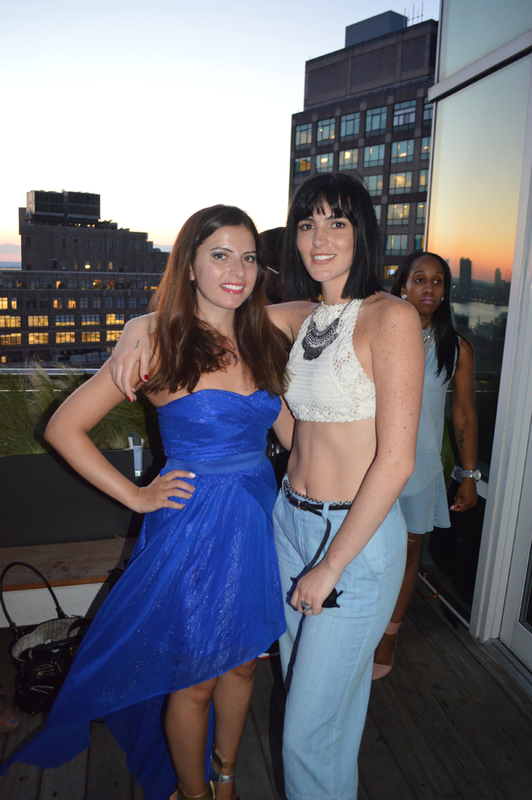 The Ranbeeri Denim Launch Party with Aliana Lohan at the James Hotel definitely encompassed all of these things! It was the most beautiful, warm Summer day and I was running (in heels) from the Nanette Lepore event to the nearest subway to make it in time for the Ranbeeri Denim launch party downtown. 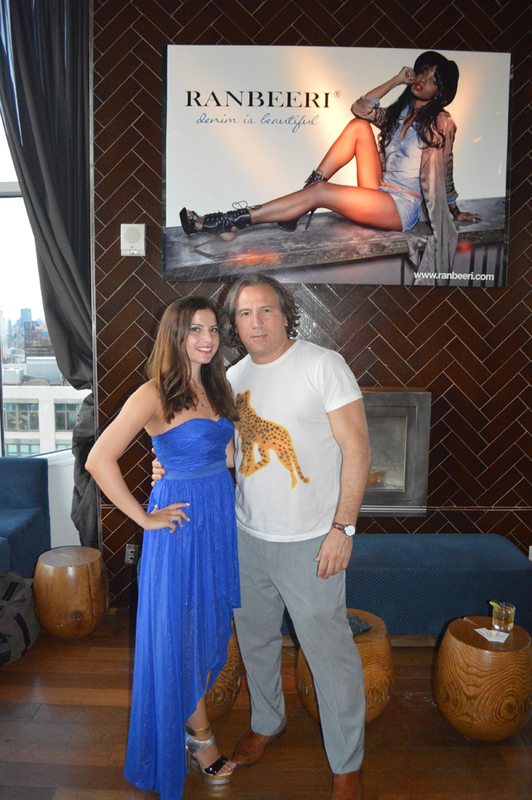 The party was held in celebration of Ranbeeri’s new 2015 lifestyle fashion look book & campaign featuring Aliana Lohan. It was shot with an emphasis on denim, which is shown visually in it’s raw but beautiful stage through the photography lens of Bryce Thompson. Notable guests included: Aliana Lohan (Fashion Model), Dina Lohan (TV personality), Michael Lohan (Reality TV show personality), Po Johnson (Singer, Reality Star), La La Anthony (Radio and TV personality) and Arzo Anwar (Celebrity Stylist). Ranbeeri Denim is a young, contemporary, European inspired brand with standout, quality fabrications accompanied by a wide variety of designs moderately priced for young women. Ranbeeri specializes in producing fashion quality denim pieces with amazing washes and fits for all women. Their commitment to quality and fit has driven the major growth and distribution amongst retailers across America, Canada, Europe, Asia, and South America. Check out www.ranbeeri.com to see their full collection. I was so excited to chat with Aliana about her cool new collaboration with Ranbeeri! 1. Your photoshoot with Ranbeeri denim looked so fun! What was your favorite piece from the collection? Aliana Lohan: My favorite piece are my jeans that I’m wearing right now! 2. What’s a typical day in the life of Ali Lohan? Aliana Lohan: I wake up and work out. I’m in the studio a lot, every day working on my music. 3. You've done everything from modeling to singing in your career so far. What are your plans for the future? Aliana Lohan: I think it’s just music that’s coming up, working on a new album. 4. Denim has become such a big trend for Summer. What's your advice on the achieving the perfect denim look? Aliana Lohan: I would say keep it simple with a crop top and high-waisted jeans. I’m a big fan of Alexander Wang and his t-shirts (over denim). Michael and Dina Lohan came out to support Aliana. The famous family looked every bit the celebrity with movie star looks and the perfected paparazzi pose. It was so much fun to have a chance to hang out with all of them that evening! After my interview with Aliana I had a chance to spend time with Dina Lohan for a bit. I met Dina about a year ago so it was nice to see her again! Ironically when we had met and I introduced myself, she mentioned that her daughter Aliana had a similar name to mine. Fate is such a funny thing, who knew that Aliana and I would have a chance to meet just a year later! Speaking of fate, I ran into my friend and CEO of AMW Public Relations Adam Weiss. Adam was actually the one who introduced me to Dina last year! The view at the JIMMY rooftop at the James Hotel was beyond breathtaking. It was so surreal to see 360-degree views of the Manhattan skyline being kissed by the warm hues of the evening's sunset. I could literally stand and watch this view all night. It's perhaps one of the most romantic places in the city! My friend Ronn came with me as my unofficial photographer. It’s always so great to go to these types of events with good friends as it makes the experience 10x better. At the end of this phenomenal evening I took a moment to really soak in how much fun I had; from hanging out with Ali and the Lohan family to meeting more incredible people, watching the sunset over the Manhattan skyline, and of course all of the yummy appetizers/drinks. I couldn’t have imagined a better way to spend a Summer night. Thank you so much Ranbeeri for having me!